Saudi Arabia has temporarily banned the import of poultry from Vietnam over bird flu fears. 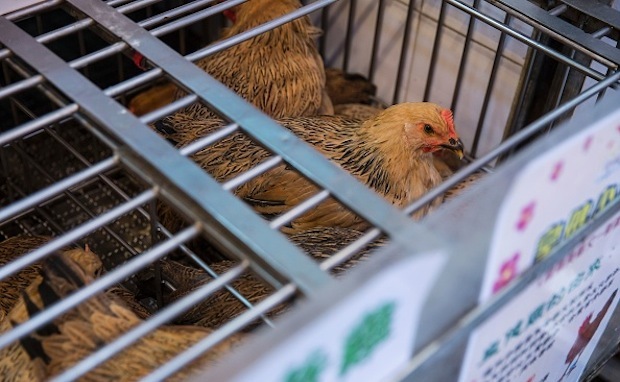 The kingdom’s Ministry of Environment, Water and Agriculture has banned the import of live birds, hatching eggs and chicks from Vietnam due to the highly pathogenic avian flu disease, the official Saudi Press Agency reported. The ban was based on the warning issued by the World Organization for Animal Health (OIE), the SPA quoted the director general of the Department of Animal and Plant Quarantine, Dr Osama bin Abdullah Al-Saleh, as saying. Vietnam has reported highly pathogenic avian influenza (HPAI) involving outbreaks of H5N1 and H5N6 throughout the country. According to the latest report registered by the OIE on April 14, avian influenza outbreaks were recorded in five provinces, which left 13,010 birds susceptible, with 3,180 deaths and 9,830 birds destroyed. The outbreak of the avian influenza has been reported across the world since the start of this year. Last month, a research team from Hong Kong University also claimed that a mutation in an H7N9 virus isolated in China gave the virus the capacity to infect humans while circulating in poultry.